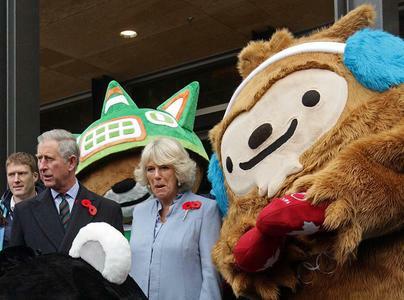 That’s Prince Charles and Camilla Parker Bowles with Quatchi in Vancouver on November 7. Be careful, guys! Or you will get crabs!! 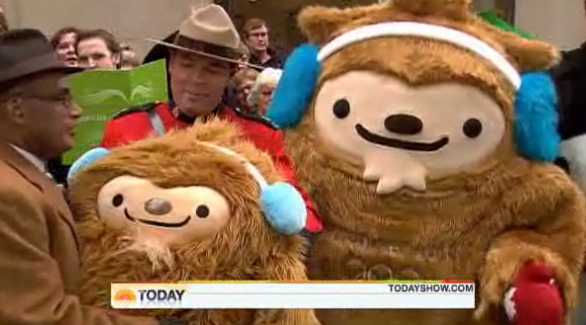 In the video, a startled Roker tells Quatchi he looks like an Ewok. 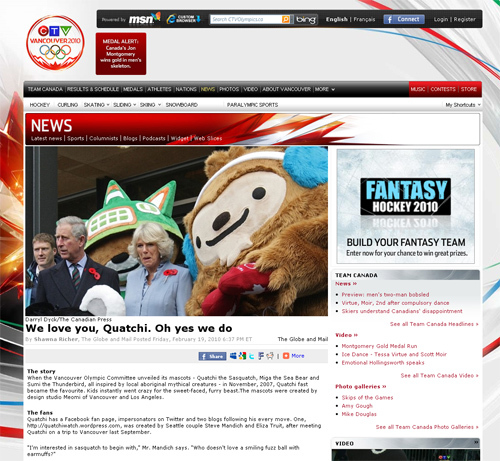 Sandra Oh, speed skater Catherine Raney and Meredith Viera love Quatchi too. Found here. Tamara Taggart, weather forecaster on Vancouver’s CTV affiliate, appeared on Regis Philbin’s show last August, giving him a Quatchi. Found here.